On February 4, 2019, Jack Donald Huotari passed away peacefully at the age of 85 at Peace Hospice of Great Falls. Arrangements are being handled by O’Connor Funeral Home. A service is being planned for a later date. The oldest of three children, Jack was born on August 31, 1933 to Aili (Hill) and Ben Huotari. Jack and his siblings Ruth and Frances (“Pink”) grew up on their parent’s ranch south of Geyser, where Jack learned to raise cattle and work the land. It was there, too, where Jack developed his infallible work ethic and respect for his role as steward of his land and livestock. Jack attended school at Geyser, graduating at the top of his class (which he always joked was due in large part to the fact that he had only one other classmate). Despite having to miss the first month of school each year to harvest and seed their family’s wheat crop, Jack excelled both in academics and athletics. While he was needed too much on the family farm to attend daily practices, the football coach would stop by the field that he was working, and Jack would shut down the tractor long enough to play in the weekend game. Upon graduation from high school, Jack furthered his education with welding training before returning to the family farm to continue to work the land with his parents. In 1958, Jack was called to serve his country. He was stationed in Germany, where he worked on the electrical system for the army hospital. When his superb driving ability and knowledge of German roadways were discovered, however, he was asked to serve as a jeep driver for army officials. 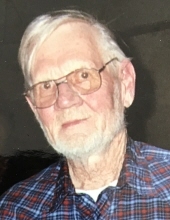 When his time of service ended in 1960, Jack returned once again to the family ranch in Geyser, which he was able to expand and develop through his hard work and dedication. On October 12, 1968 Jack married Claudia May Dolin, to whom he was married 35 years. This union blessed Jack with four children from Claudia’s previous marriage, Lorine, Rick, George and Marline; and later two children of his own, John and Anna. After more than 70 years working the land, Jack finally took some time to travel and enjoy activities away from the ranch. It was then that he met Kay Craig, who became his best friend, travel companion, and dance partner. Jack and Kay belonged to a wonderful dance “family,” and spent a couple nights a week dancing with their group of friends. Jack was preceded in death by his parents, Ben and Aili; brother-in-law Dale Peterson; and nephew Scotty Peterson. Peterson, Bob Mathews, Dan Mathews, and Jim Mathews; niece Joni Peterson; children Lorine (Mark) Dolin-James, Rick (Cathy) Dolin, George Dolin, Marline Bradshaw, John (Rachel) Huotari, and Anna (Darin) Arganbright; as well as dozens of grand and great-grandchildren. Memorial contributions can be made to the Geyser Education Foundation, PO Box 70, Geyser, MT 59447. Please visit www.OConnorFuneralHome.com for condolences. To plant a tree in memory of Jack Huotari, please visit our Tribute Store. "Email Address" would like to share the life celebration of Jack Huotari. Click on the "link" to go to share a favorite memory or leave a condolence message for the family.